Stevenson’s first full-length work of fiction, in a gorgeous new clothbound edition. These delectable and collectible Penguin editions are bound in high-quality colourful, tactile cloth with foil stamped into the design. 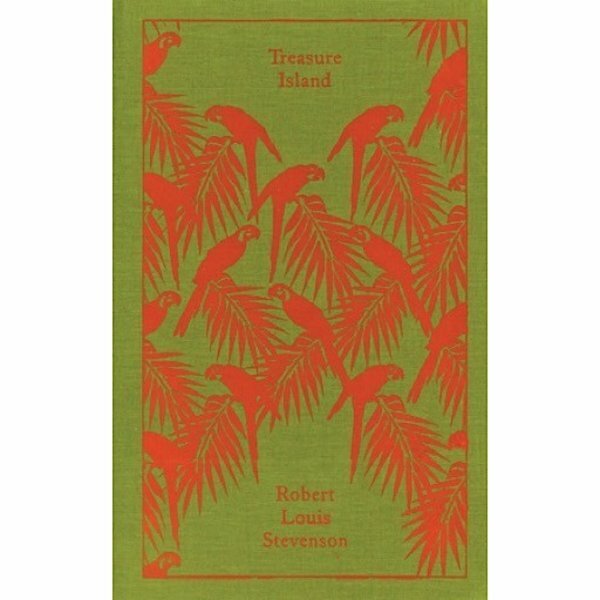 The tale is told by an adventurous boy, Jim Hawkins, who gets hold of a treasure map and sets off with an adult crew in search of the buried treasure. Among the crew, however, is the treacherous Long John Silver who is determined to keep the treasure for himself. Hardcover; 240 Pages. Dimensions: W5 x H8 inches.